I’ve been drawing dinosaurs a bit of late as both my sons love them, but they say that having children is one way of keeping you grounded and to make you feel humble. And it’s true, no matter what I draw, my boys never seem to be very impressed, just once I’d like a “Wow, daddy that looks awesome!”, no I usually get “I want one! 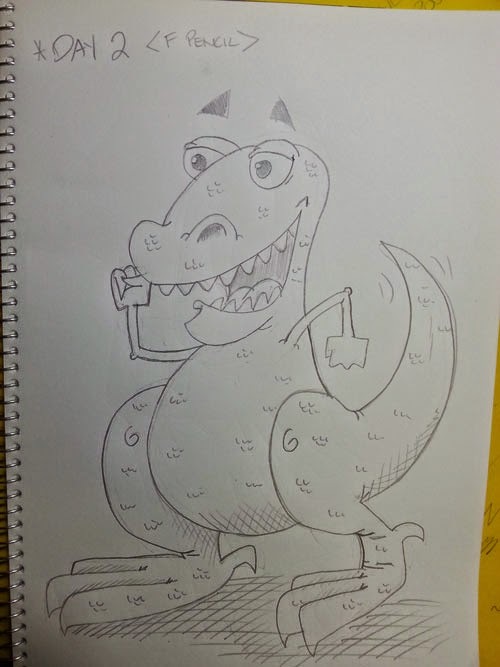 Draw me a different dinosaur!”. Oh well…..